This event took place on Sunday 16th of July in Gowran Park Raceourse in Kilkenny in glorious sunshine. It was billed as a Festival of Speed and used the tarmac road around the inside of the horseracing track. 6 cars were on the track at anyone time running at 30 second intervals. Test trials ran throughout the day as did a trrs stunt cyclea, A huge array of machinery from rally cars, young and old as well as tin tops, single seaters andoup of stunt cyclists. 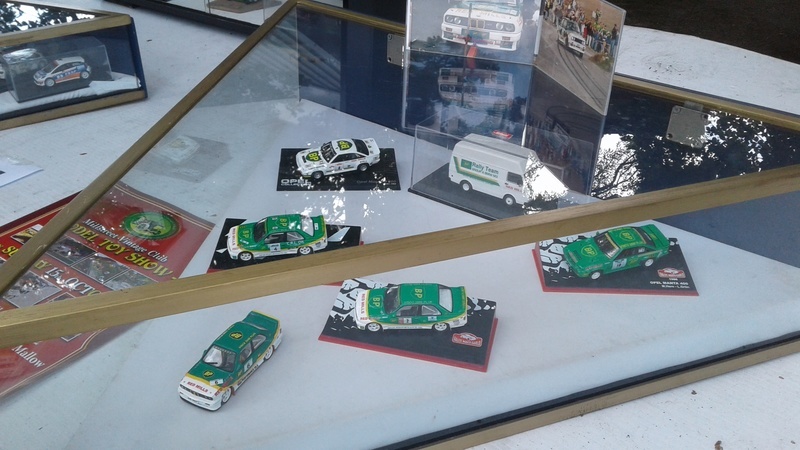 Static displays of trucks, cars and bikes as well as a large selection of stands. 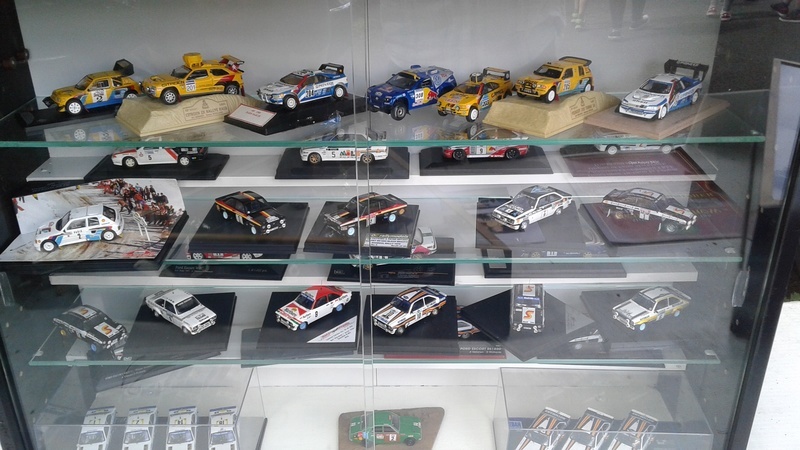 Ari Vatanen and Frank Kelly were the star attractions. 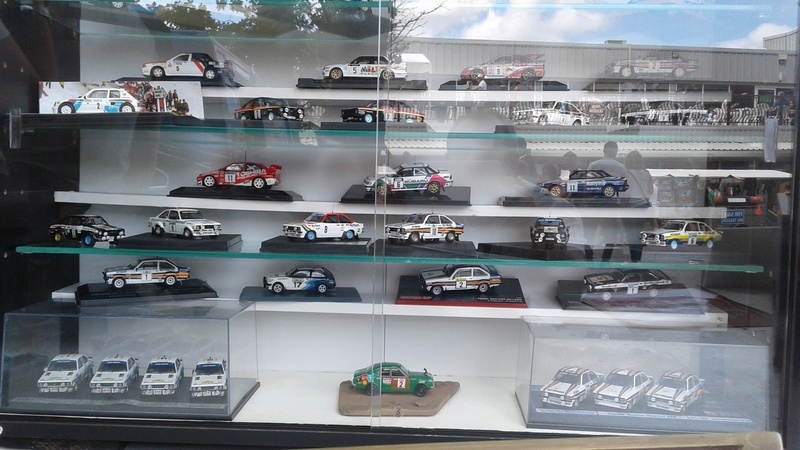 I took 4 display cases - Vatanen and Irish Rothmans ( of which Ari Vatanen was the first driver on Irish soil) and two displays of "local" drivers - Bill Connolly in one and acombination of RoyWhite/Enda Nolan/Donie Keating in the other. To cut a long story short I ended up doing an outdoor display for the first time but because of the dust I could not set up close to the "action". 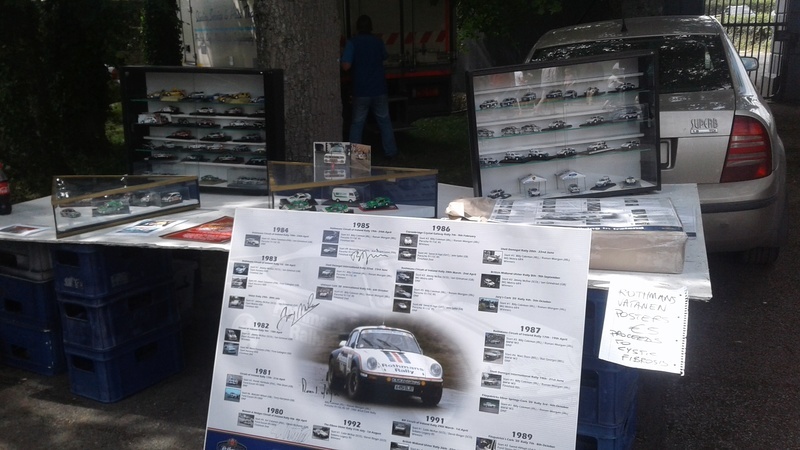 Sean Buckley of this forum redesigned the Rothmans poster we had at Circuit Deja Vu and Fergus McAnallen not only once again kindly allowed the use of his photos but also arranged for the printing of the posters. There are some spare posters still available. We charged a fiver for them with the proceeds going to Charity - at Easter it was a Cancer Charity, now its Cystic Fibrosis. So if anyone is interested send me a pm and we will make the necessary arrangements. I think they are A2 size on light board - they will roll . I will check on the size later. 200 done and won't be repeated. 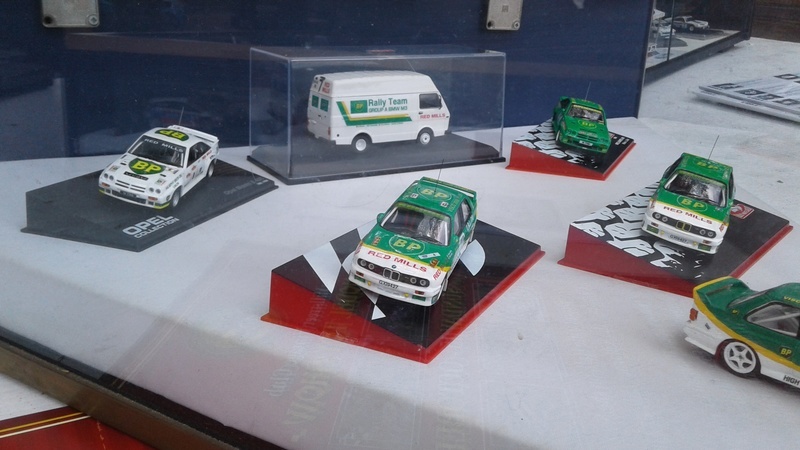 A big thank you to Sean Buckley and Brian Webster ( in the run up to his wedding) for the help with decals for the various models. 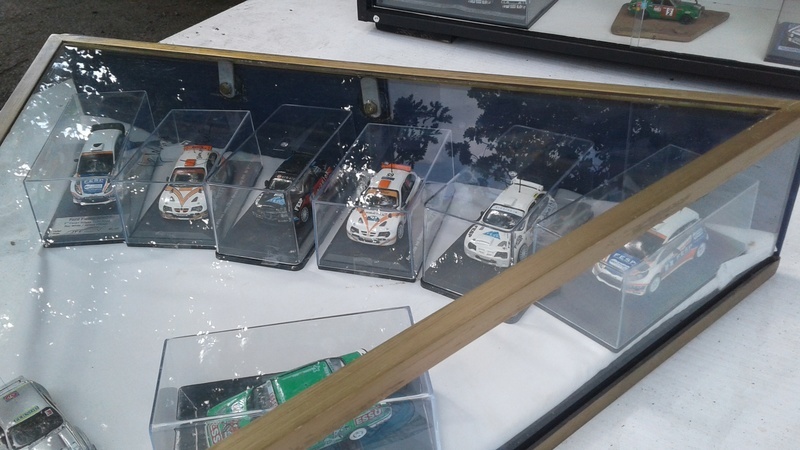 And as ever thanks to Donie Lucey for plugging the gaps in my collection and allowing me the use of his diorama set up - the model cars in the tents had more shade than I had all day !! I will upload a few photos later. In the meantime I might "borrow" some photos from Facebook. Photo courtesy of catherine Barron. Well done on yet another suiper display. 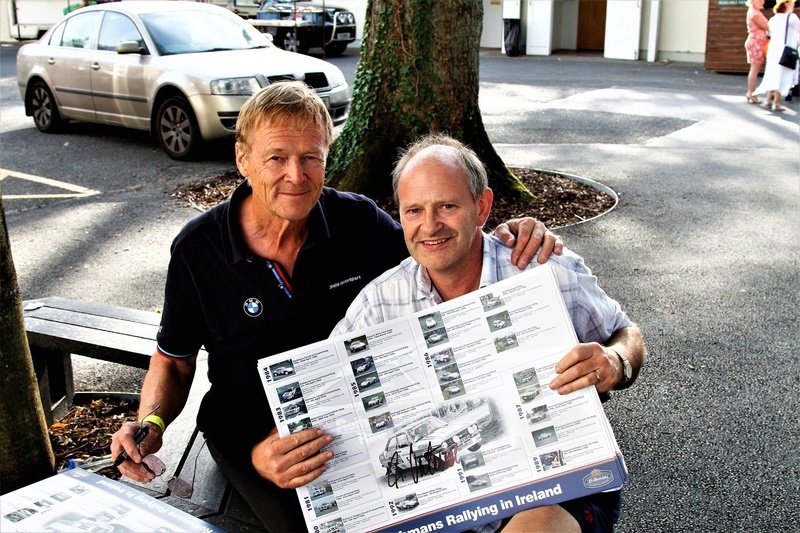 Well done again James (et all) That's a really cool photo with Mr. vatanen. A great display again James and crew, Vatanen really did drive through a great era, some wonderfully diverse machinery, I think he even did Finland in a 206 WRC in the end too. 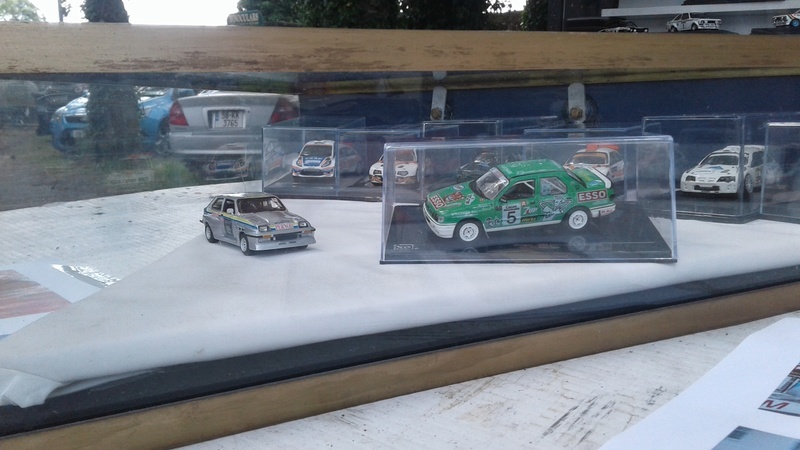 Great display as expected James, was great to see the local cars especially Bill Connollys and Enda Nolans. Was delighted to see the comments on Facebook about Mick Dowling visiting the display and sharing a few of the stories about prepping Endas Sierra for paint at his workshop. Mick and his family were long time supporters of Enda and went to events up n down the country servicing and cheering him on. James, I'm in Cork on the August Bank Holiday Monday until the Wednesday so will try arrange and collect the two Rothmans posters from you then if that's ok? 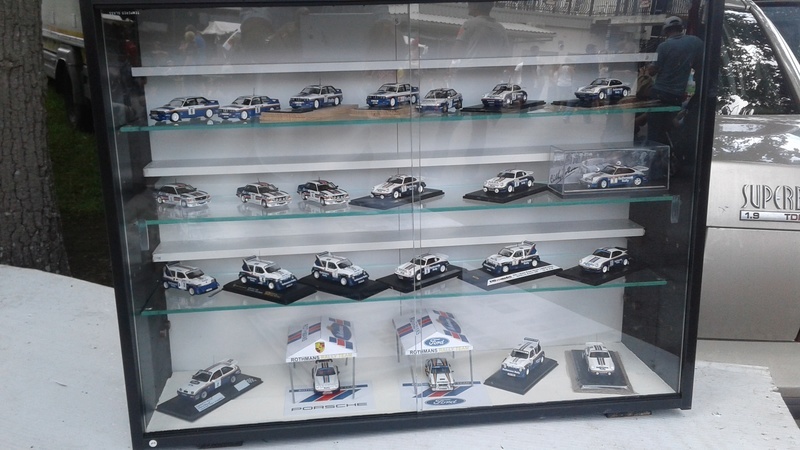 Nice displays, what 6R4's are they? 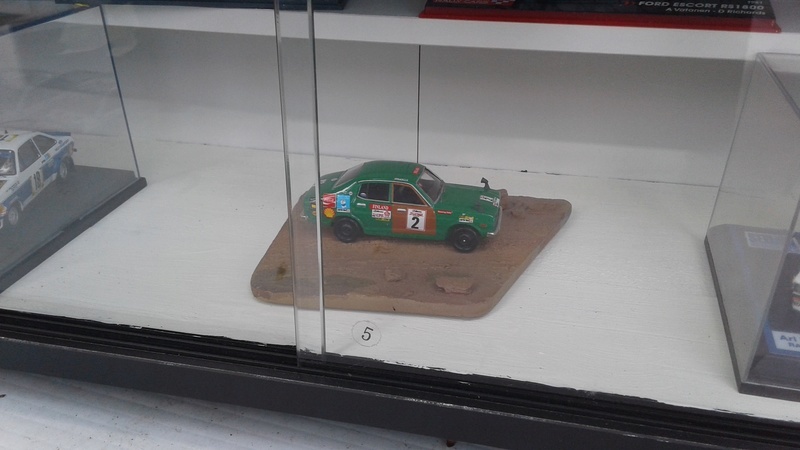 You beat me to it Dave, I was wondering about the 6R4s too? Zeus wrote: Nice displays, what 6R4's are they? 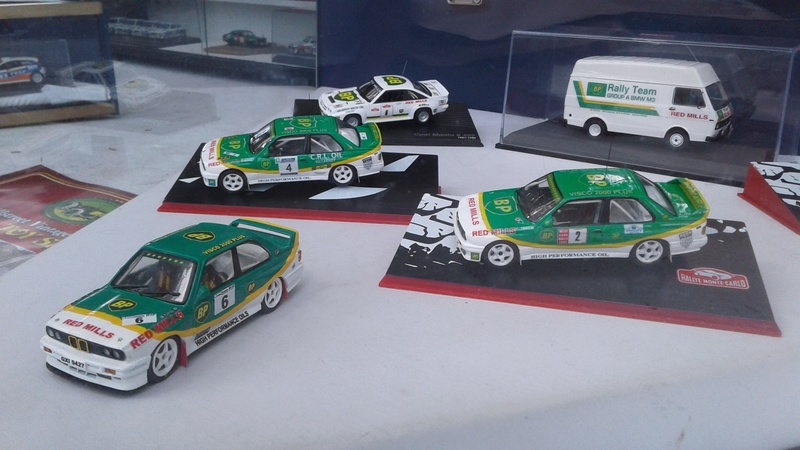 I am guessing they are Rothmans 6R4s that competed in Ireland.......Coleman plus ?????? Great pictures James. Nolan sierra and Connolly cars look great.